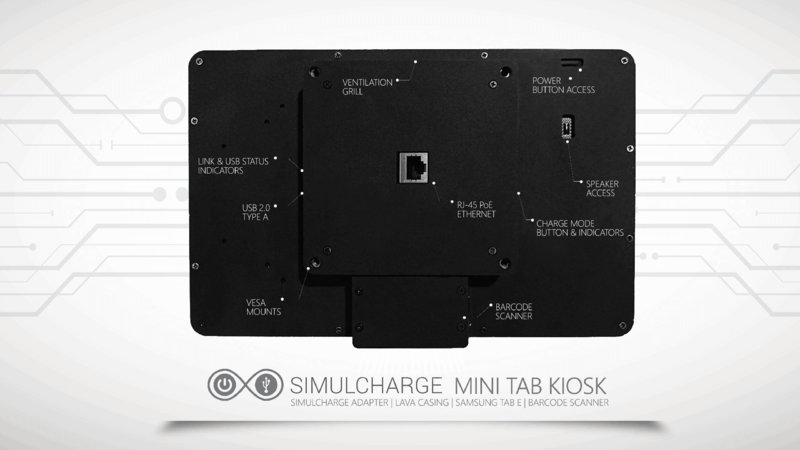 The new SIMULCHARGE® Mini Tab E Kiosk features the RBM technology for superior performance, provides robust operation on Power over Ethernet (PoE) and optionally an integrated high quality 2D barcode scanner. LAVA’s SIMULCHARGE® Technology is a key to allow tablet to operate as a USB Host controller while simultaneously being charged. The LAVA RBM extends tablet reliability through the use of battery modulation and resolves Android DHCP issues in commercial environments. Moreover, it provides power to the tablet with a cost-effective PoE solution for large scale deployments. Our products use the Samsung KNOX Customization SDK to gain root-like access to the Samsung device capabilities, while remaining within security, technology, and warranty constraints. KNOX Customization also allows LAVA’s adapters to easily integrate scanner technology. 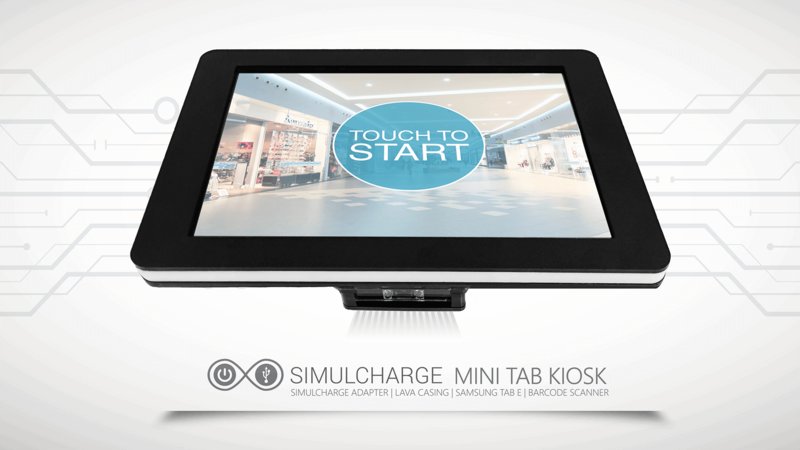 The Mini Tab Kiosk screen brightness management reduces unnecessary heat generation and battery strain based on a time of day. Our kiosk comes with a stylish black or white casing. Mount this kiosk on any standard VESA bracket, plug in your PoE LAN, and you are ready to go.